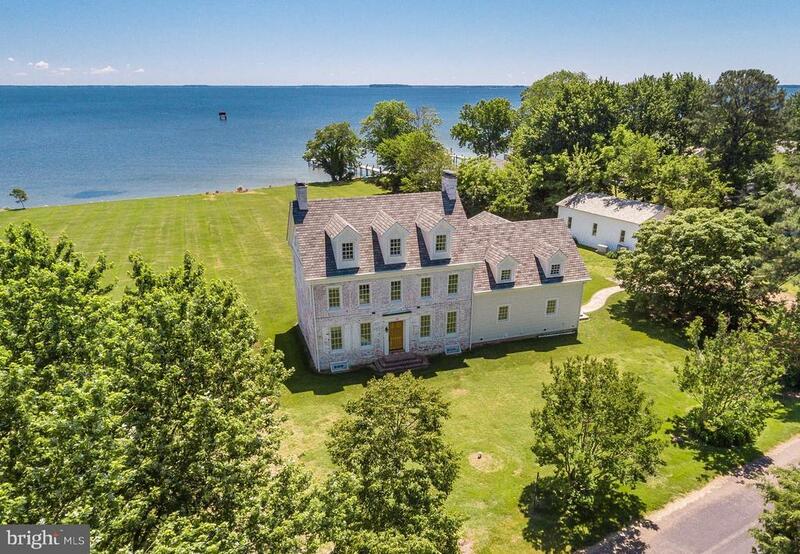 Exquisitely renovated/restored 18th Century home, Morgans Enclosure, with expansive views of Eastern Bay. 1.3 acres w/large outbuilding. Reclaimed Pine floors, 4 wood burning fireplaces, a huge unfinished attic awaiting your imagination, Chefs kitchen open to Family Room, 3 full sumptuous bathrooms, powder room; pocket doors; public sewer lines in place. Unique and beautiful Eastern Shore life! Directions: East on Route 50 to Right on Route 8. Follow Route 8 almost to the end and turn Left on Queen Anne Road. 122 is on the right.